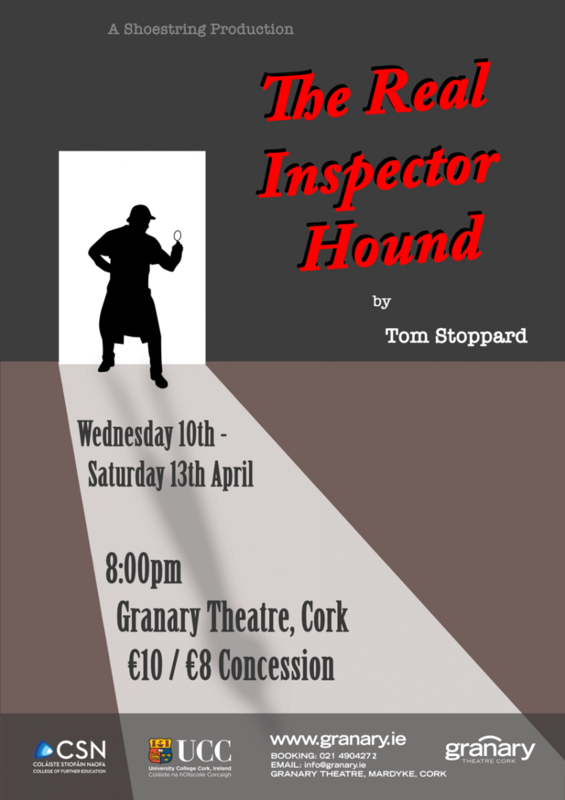 CSN’s Shoestring Productions presents Tom Stoppard’s The Real Inspector Hound in the Granary Theatre from Wednesday 10th to Saturday 13th of April at 8pm nightly. A comedic satire of the theatre industry and a parody of Agatha Christie murder mysteries. Moon and Birdboot, two theatre critics, watch the performance of a new detective play. Join them as they’re private lives become inextricably linked with those of the plays characters. 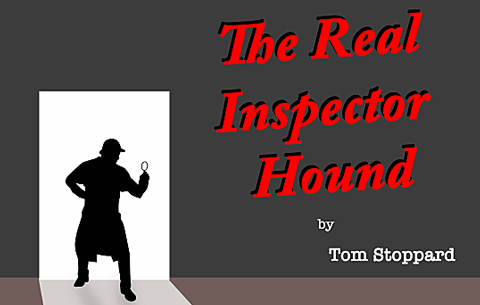 And find out who is The Real Inspector Hound! A modern, fresh interpretation of a Stoppard classic, showcasing the talents and hard work of CSN’s next generation of talented actors. Poster design by Molly Coffey, Digital Media 2.